Let us be your technology foundation. When you communicate with your clients and co-workers quickly and accurately, you can complete your designs and projects faster. And the faster you complete your projects, the more projects you can take on. Plus, the ability to communicate quickly and clearly with clients will improve customer satisfaction – always good for repeat business and positive word-of-mouth. If you're business is designing, building, or landscaping; we can be your technology foundation. A building is only as strong as it's foundation. Building your business on strong IT is equally important. The need to for fast collaboration. Datamax Arkansas will help you complete and manage projects quickly so you can move to the next with our range of products and services (office equipment, managed networks, document management, and more). Create digital documents and workflows to automate and streamline collaboration workflows. Get access to your project information on site – work and print from anywhere. 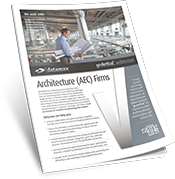 Automate the review and approval process for plans, specifications, proposals, engineering drawings, and other documents. Automated digital workflows allow you to take advantage of early payment discounts by speeding up invoicing and approvals. 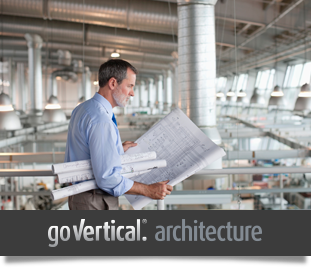 Go Vertical® with Datamax Arkansas with efficient workflow, faster communication, and an improved bottom line. Ready to get your technology foundation set? Let's talk.